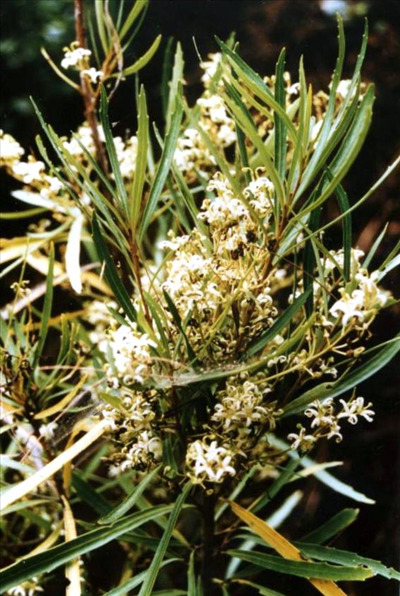 Attractive medium shrub 6-12' with dark green toothed leaves and cream scented flowers in summer. Grows well in partial sun or shade. Tolerant of heavy frosts (was told it grows in Washington D.C), and dry periods once established. Tolerant of Phytophthora cinnamoni. Excellent screen or hedge plant and good cut flower.